This data may then be used in subsequent noise impact assessments for proposed developments or to demonstrate compliance with noise requirements. 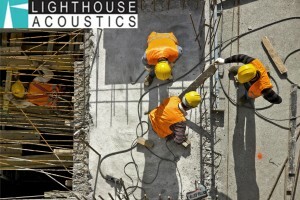 Lighthouse Acoustics are able to advise on the most appropriate type of noise survey required and are able to offer a quick turnaround of both survey and report. Depending on the proposals and site location either a manned survey over critical periods or an unmanned survey over a 24 hour or weekend period may be required. Noise monitoring during demolition or construction works is often required to demonstrate compliance with noise requirements at noise sensitive receptors. Depending on the nature of the works short term or long term monitoring may be appropriate.